3 Bedroom Terraced House For Sale in Cheltenham for Guide Price £180,000. 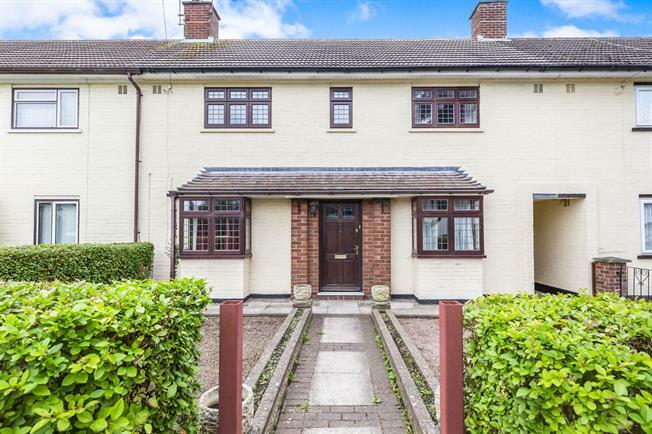 The property is generous in proportion and comprises entrance hall with large storage cupboard, lounge, conservatory, separate dining room leading to the kitchen located at the back of the property and cloakroom. On the 1st floor there are three large double bedrooms and a family bathroom. The paved garden is private with a large outbuilding and shed. The property benefits from gas central heating served by a combination boiler, shared alleyway side access and off road parking..